Best idea ever: a toy store in our area offers 25% any toy in the store in exchange for your kid’s Halloween candy. Way better than having all that crap in the house. For me to eat. 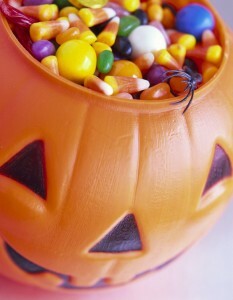 Check out the offer at http://mbeans.com/halloween-candy-buy-back-at-magic-beans.html It’s pretty rad! .-= Kami´s last blog ..Coccooned =-. As I prepare for my little one’s arrival, I am constantly thinking about the decisions I will make. I really am not a fan of Halloween these does just because of things like safety and swine flu. 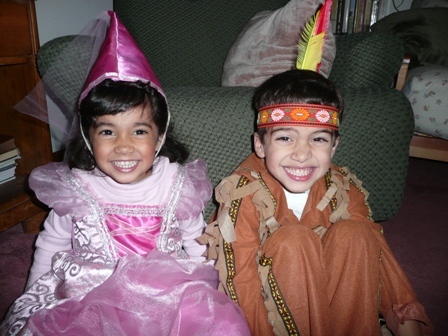 I figure if I never start the tradition of trick or treating with my kids, they won’t miss it. Does that make me a mean mommy? .-= joanofalltrades´s last blog ..Spiritual Sunday: In Pursuit of Positivity =-. 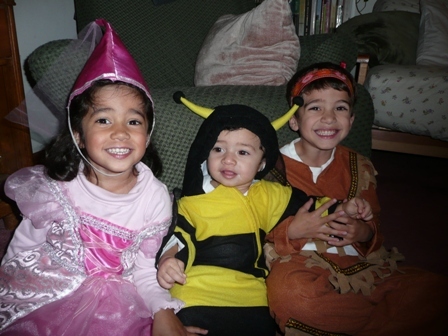 Your kids are so cute!!! I love the tips, and though my kids are older and no one, not even my grandsons went trick-or-treating, somehow there is still a big bowl of candy on my counter! We thought we should buy some in case we got some little goblins at our door, but no, not one. So, now there sits the candy, calling my name. Definitely going to have to do something about that. 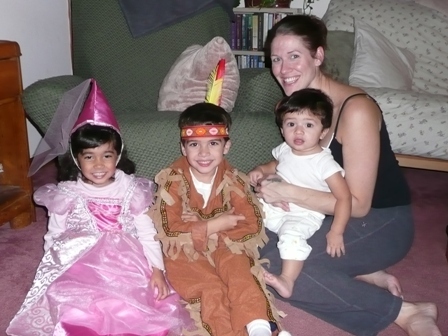 .-= Mary Lutz´s last blog ..Work at Home Moms Talk Radio #288 =-. .-= Brandy´s last blog ..Thanksgiving at PBS Sprout =-.